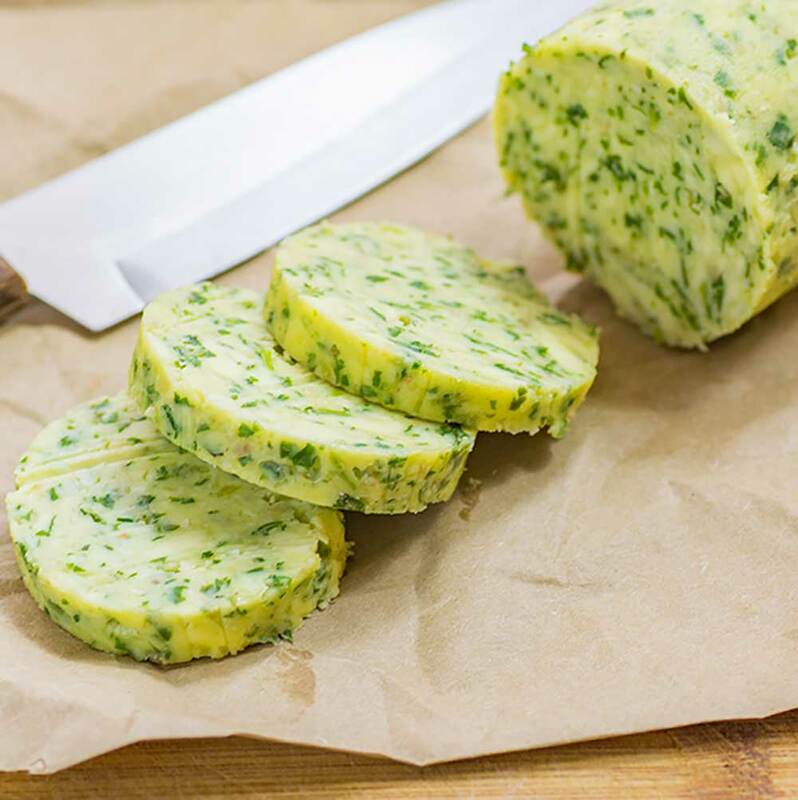 This simple recipe uses our Keto Rocket, Parmesan & Pine Nut Pesto to make a delicious Pesto Flavored Compound Butter. This recipe is also turned out great when we substituted our Rosemary & Macadamia Nut Pesto, and it complimented Roast Lamb very nicely. It would be a great addition to top our Rich Lamb Stew, or melted over our Lamb & Halloumi Burgers. The recipe makes 10 serves, one serve is 1 tablespoon of flavored butter. Place the butter and Keto Rocket, Parmesan & Pine Nut Pesto in a mixing bowl and mix well. Spoon into a sheet of cling film and roll into a log shape. Set in the fridge for 20 minutes before serving. Store in the fridge for up to 3 weeks, or the freezer for up to 3 months. To make a larger batch of Pesto Flavored Compound Butter, simply adjust the serving amounts in our easy to use recipe card above.